Leaving our old home was certainly not easy. How my precious little child will fare lies constantly on any mother’s mind, and that thought prevented me from taking the final step of leaving our war-torn homeland of Syria behind. But as the situation just worsened and worsened with no hope of anytime getting better insight, I decided to take the final step, all the while doubled over with worry about how my small child will survive the difficult journey. Together with other like-minded mothers, our small group managed to somehow scrape together the sum required for smuggling us through borders, as well as other travelling expenses. In the darkness of night, we left for our future, all the while soothing our babies, for if they scream, cry, or even whimper, the border guards would have become aware of our presence, and any hope for a better future, and especially for my young child’s future, will be dashed to pieces. We literally left with just the clothes on our back, with some food and some precious family heirlooms thrown in. Travelling was like experiencing hell. Trudging through desolate deserts, with parched lips and the sun beating down on our back, some of us even began experiencing hallucinations, as our water supply was greatly rationed. As we hung on to the metal poles of our smuggler’s jeep as it was racing through the night, bumping over hills and rocks with the military jeeps closing in on us, flashes of our life passed before our eyes, and we wondered if this was to be our end. And though we finally made it pass the border, this was the least of our troubles, with the worst yet to come. We joined a group heading to Europe, where I hope to build up a better future for me and my child. But alas, this was easier said than done. Our precious family heirlooms were spent on the boat fare, as it is impossible to reach Europe without crossing the sea. But our accommodations were far, far removed from any semblance to a first class ticket. 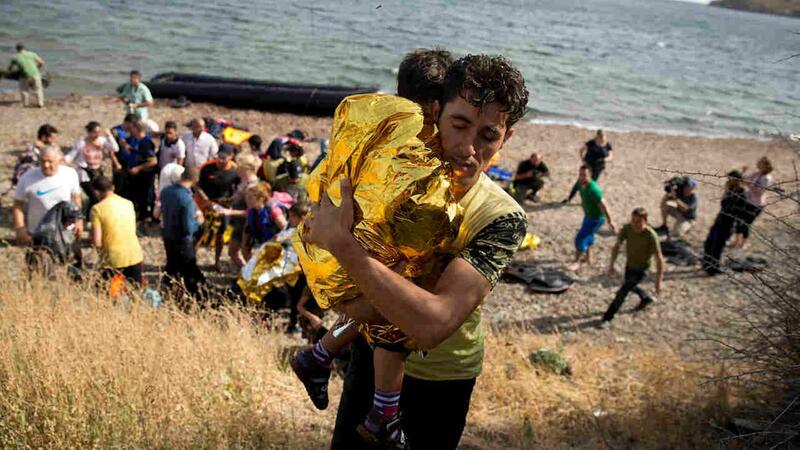 With hundreds of refugees packed onto a single lifeboat, I literally had to clutch my child tight the whole time, for I would not let him go overboard. If he went, I would go with him. Going overboard, however, was not the most of my concerns. Many of our fellow refugees were not as lucky as I, a single mother with her child who actually reached Europe, was. Many boats capsized entirely, sometimes with high fatality rates. And our troubles did not end there. Would a country, even take us in? Was anyone actually interested in the plight of a poor mother and child, nay hundreds of us, fleeing our war torn and dangerous homeland, with nowhere to go and nowhere to turn? Or will they turn a deaf ear, closing their hearts and their minds? We refugees are literally left hanging in our refugee camps, with no normal living conditions and with poor hygiene. Many of us are bored and some are becoming despondent and despairing of any hope. What will the future bring? I don’t know. I only hope and pray that someday, the conditions will take a turn for the better, and we will start a new future in our new country, whichever country that may be. I hope that I can give my child a new and better future here, I hope that when they grow up they can be whatever they want to be. Check out Little Bo Baby’s “When I grow up”doll.